This documentary has been garnering a lot of attention for its fascinating origin story. A young historian, John Maloof, looking for historical photos for his book, bought a few boxes of negatives from a local auction. 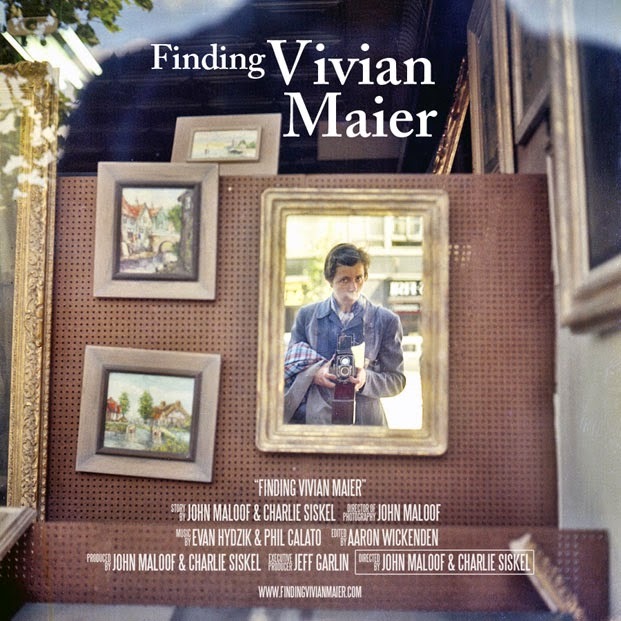 He found a treasure trove of great photography by a woman named Vivian Maier. He soon began archiving the images and researching Vivian's life. She turned out to be a strange figure who worked as a nanny for forty years, secretive in the extreme and mercurial to her charges, many of whom Maloof tracked down and interviewed for what became this documentary. I always fear that documentaries will give me good information but not be interesting to watch. This one is interesting as a movie as well as a story. But it would have been great if all it had done was show Maier's photographs, one after the other, for an hour. In the end [slight spoiler here], it shows how great a cost mental illness is to both individuals and their culture. It's maddening, really. To see a selection of Maier's great photography, click here.